SCREEN PRINTING provides me with a more graphic form of printmaking and allows me to call on my previous experience as a graphic designer - particularly those days spent checking printed work on press that we used to have to do in a predigital age. My prints also draw heavily on my skill with Photoshop to edit and control the presentation of an image right down to the individual dots in a half-tone screen. 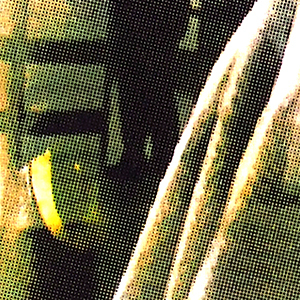 This series of large (70x90cm) full colour screen prints explores the relationship between us ordinary people and the superhuman-scale images of adertisements that stare blindly through us as we scurry by in the passageways of the London Underground..